While in Paris I took a tour that went off the beaten path to explore the bohemian side of the city. The tour was with Urban Adventures and I would do it again in a heart beat. 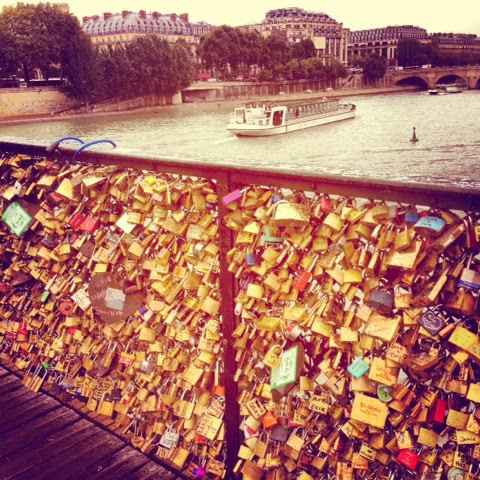 At one point in the tour we came across a bridge full of locks and the tour guide explained that this is a bridge where lovers would place a lock written with their name and their soul mates name. Then they would throw the key into the river. This symbolizes that their love can never be unbroken or unlocked.